The podcast from Barclays Corporate Banking brings you the latest outlooks for the economy, innovations and ideas from our UK team. Jamie Grant, Head of Barclays Mid Corporate Banking North, hosts his first podcast for Barclays Corporate Banking and welcomes Barclays' Chief Investment Officer, Will Hobbs. They discuss market conditions for the UK economy and the regional trends impacting jobs, housing and manufacturing across the country. 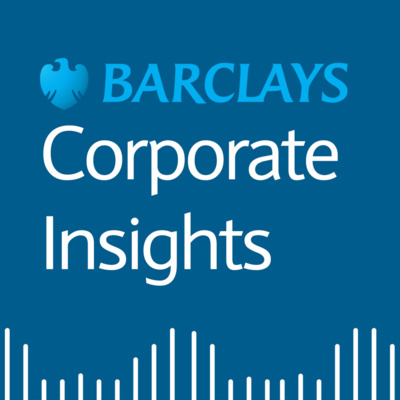 In this episode of Barclays Corporate Insights, Alison Tattersall, Head of Marketing, Barclays Corporate Banking, is joined by Damian Brazendale, Director of Fraud Operations & Product Implementation at Barclays. They discuss the key cyber fraud threats that are currently facing businesses, how to mitigate these risks, and how to raise awareness of cyber fraud amongst employees. We discuss the link between a company's bottom lines and their C-Sat scores, and why C-Sat should be the responsibility of everyone in a company, including the board and the CEO. In this podcast, we discuss the future of C-Sat and where the opportunities and challenges lie for both B2B and B2C businesses. Is the DNA of companies that excel at C-Sat different? We look at some of the common traits shared by businesses which have high levels of customer satisfaction and whether there are lessons that other organisations can learn from them. What is C-Sat and why should businesses measure it? 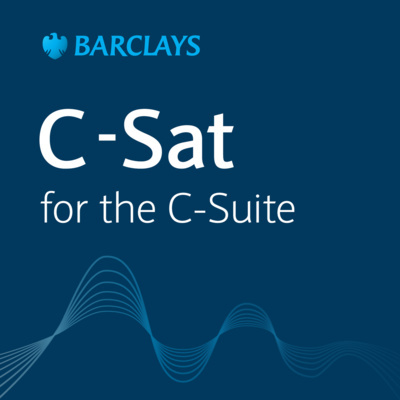 In the first of our series on C-Sat for the C-Suite, we discuss the value of C-Sat as a metric – and how this and other measurements can be translated into continuous, practical improvements. As it’s such an important topic, we’re dedicating four episodes to it. All four feature Jo Causon, CEO of the Institute of Customer Service. We’ll be discussing other key customer satisfaction topics during the rest of the series. Throughout, Jo will be sharing her thoughts on why such a strong focus on customer satisfaction is so important today. Recorded live at the Confederation of British Industry’s annual conference in London, Steven Dring, Co-Founder and CEO of Growing Underground speaks to our Head of Citizenship about how they have reinvented the idea of sustainable farming - Growing Underground is a business taking on the challenge of a growing population with a finite amount of agricultural land. They are a sustainable salad business utilising unloved underground space, turning it into a farm and producing very short supply chains, all 33m below the streets of Clapham. They also discuss the role that business plays in driving sustainability, from impact investing to social enterprises. In this episode of Barclays Corporate Insights, we take on the fast paced topics of technology and innovation. We're joined by Sabry Salman Managing Director, International Corporates, Barclays and George Osborne, Head of Specialist Finance, Barclays in the studio where they look at how treasurers are harnessing these new tools and technologies to support the more strategic role treasurers have within their organisations. We also look at some real life examples of how these new technologies are being used. This special edition of Barclays Corporate Insights, in celebration of Black History Month, is hosted by the co-chair of Barclays' Black Professionals Forum. Ken speaks to KPMG's global head of citizenship and peer of the House of Lords, Dr Michael Hastings; and Bloomberg's Head of Citizenship, Pamela Hutchinson. They discuss what businesses can do to create a more balanced and diverse workforce and how people from black and minority ethnic backgrounds can progress and build their networks in the companies they represent. Amid a turbulent time for UK retailers, is it still possible to make money on the high street? Absolutely, says our economist, Henk Potts. In the latest outlook, Henk is joined by Cicero’s Iain Anderson, as they discuss the possibility of a trade war sparked by the US President, whether UK interest rates will rise in 2018, and the latest on the Brexit negotiations. Barclays economist Henk Potts talks to Rob Ratcliff about the big news in Q4 2017, the monetary policy committee's decision to raise rates for the first time in a decade. We also discuss consumer confidence, and quantitative easing in the Eurozone.